A couple of things happen when you’re in your thirties. First, seed magazines magically start appearing in the mail. I’ve been drooling over the latest Burgess Seed & Plant Co. catalog, but have no idea how to garden in Utah. It gets so hot in the summer, and I haven’t seen a ton of thriving gardens here. Maybe things like eggplant do well here. I don’t know. The second thing that happens is a (re)new(ed) interest in birds. I’ve always enjoyed birds. When I was younger, I remember frequently looking through a comprehensive book of North American birds that my great grandparents gave to my dad as a gift. More recently, I’ve found myself stocking my own bird feeder and tiptoeing to a window to see what kind of bird I’m hearing. Last weekend, I watched Birders: The Central Part Effect. 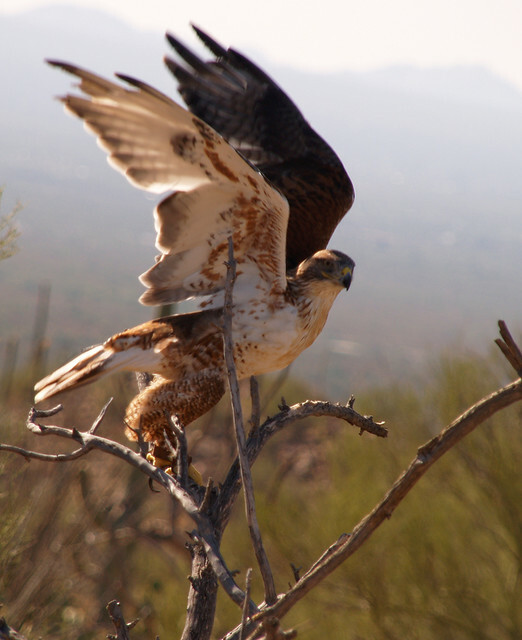 Starr Sapphire was portrayed in the film as a passionate birder. She died recently, which is how I found out about the film. Birds are nice, and yes, I have a renewed interest in them. What I enjoyed most about the film was watching people being passionate about something. I think that kind of intense, single-minded focus is rare, and it’s so compelling. This entry was posted in enlightenment, life on February 26, 2013 by sherewin. Let me start this way: it’s been a very, very long time since I read a book like Amanda Coplin’s The Orchardist. This kind of plot-driven book felt like a throwback to my junior high and high school days when I picked through the slim reading selection in my small town library in rural Eastern Oregon. 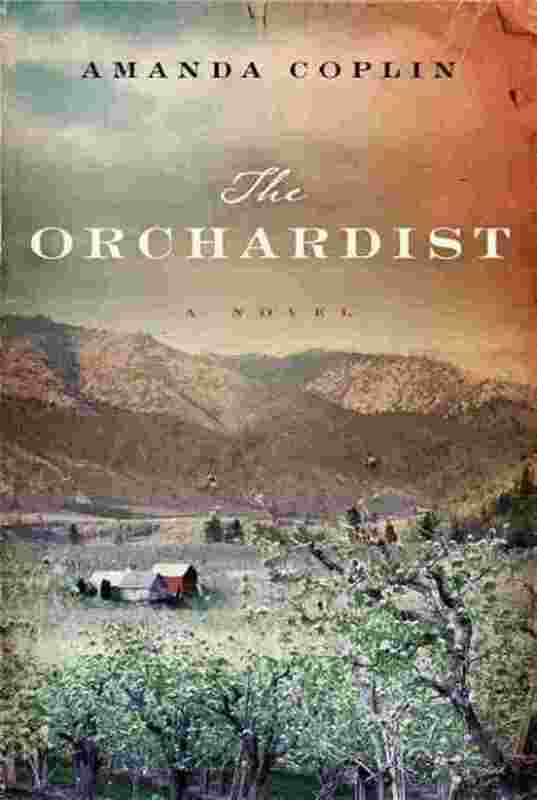 The Orchardist is such a great title too! However, as a reader, I was hoping to learn more about the workings of an orchard. In addition to the landscape, The Orchardist is driven by characters too, though. Like in the reading forays of my youth, Coplin’s characters are often completely transparent, irrational, and occasionally infuriating. I wonder if Coplin was ever irritated with her Talmadge character like the reader would be at times. Much of Talmadge’s behavior can be forgiven because of his traumatic upbringing and the loss of his sister. What cannot be forgiven of Talmadge, nor of Coplin, is the violence enacted upon Jane as she is giving birth. Jane is a woman who has endured incredible abuse. In her deepest moment of vulnerability, when she is in labor, the midwife, Caroline Middey, and Talmadge are both complacent in her violation as they ignore her desire to be left to labor alone. Instead, they struggle with her even as she is on the brink of exhaustion. Talmadge violently grips and presses her thighs until the child is born. Jane indicates over and over that she wants to be left alone physically, but the well-meaning Talmadge and the trustworthy midwife do not abide. When Jane takes irreversible action soon after, the reader knows she wasn’t kidding about wanting to be left alone. Each character in the novel possessed a combined inability to reach out, communicate, and move beyond the confines of their past and their current circumstances. There is no real character transformation in this book. The product of the story is Angelene, and this character’s welfare is completely unknown by the end of the book. As a reader, I was left wondering what became of Angelene. In her debut novel, Coplin is a master of creating a gripping plot. However, the first page of the book is a long physical description of the main character that will make you want to put the book down. Those descriptions continue throughout without the book, without adding much if anything to the reader’s understanding of the plot or the characters. That said, Coplin will, no doubt, have a long career as a novelist, and hopefully she’ll learn to rein in those long descriptions. Even with the long descriptive flourishes, the book will hold your attention and curiosity after the first few pages. In fact, I couldn’t put it down. Beyond her long-winded descriptions, her writing is effortless and entertaining. Some of the character’s insights are truly enlightening. If she writes a sequel about her character Angelene, I will read it. In fact, I’m quite curious to see what Amanda Coplin will write next. This entry was posted in art, books, life, reading and tagged books, literature, reading selection on February 17, 2013 by sherewin. Be that as it may, I enjoy Valentine’s Day. First, as someone who has spent her fair share of time alone on Valentine’s Day, it feels good to be able to indulge in the cultural moment with millions of other people. Secondly, when you think of me and my boo, phrases like, “Hard to be around” and “Get a room” might come to mind. Although our relationship is evolving, we still have plenty of that lovey, dovey stuff that is good fodder for Valentine’s Day. Basically, I still like any excuse to celebrate our love. I would say that we’re pretty over-the-top with it on a daily basis, and Valentine’s Day is a great excuse to indulge. If I have any say in the matter, after yoga we’ll spend most of the evening at home having a lovely dinner, watching episodes of Downton Abbey, and saving the public from our PDA. You’re welcome. This entry was posted in life, love, relationships and tagged valentine s day on February 14, 2013 by sherewin. It’s official: I’m going to be a doula! I signed up for a DONA certified doula training that will take place this spring. Several years ago, I began training to be a yoga instructor. In a few years, I earned my RYT 200 with YogaFit and taught yoga 4-5 days a week for four years during my PhD. I gained a lot of experience during that time and found that I absolutely love to teach yoga. I see being a doula as a natural extension of that practice. 1) Yoga practice and doula work are connected. My approach toward being a doula is inspired by my yoga philosophy and practice. Part way through my yoga training, I took a teacher training in pre/postnatal yoga. That training inspired me to consider a doula training because I saw it as an extension of teaching yoga, which is all about helping people connect to their bodies in empowering ways. 2) Working to empower women. Part of my philosophy about doula work comes from the observation that childbirth is a process that has the potential to be incredibly empowering for women. Providing support for women during childbirth seems like a tangible way to help women access that power during childbirth. 3) I’m a feminist. Because modern western medicine is mired in patriarchy and sexism, women are far more likely to feel disempowered by their birth experience. Birth doulas work to give women more power in their birth settling, and that’s something I support. As of right now, I don’t know if I’ll like it, I don’t know if I’ll be good at it, and I don’t know that I’ll have the stamina for it (more on all of that later). I don’t even know that I’ll start doing the work any time soon. But, like yoga, I have a sense that this is the right move for me, even if I am not sure exactly why. I’m taking a step in that direction based on the inkling that it’s the right direction for me. 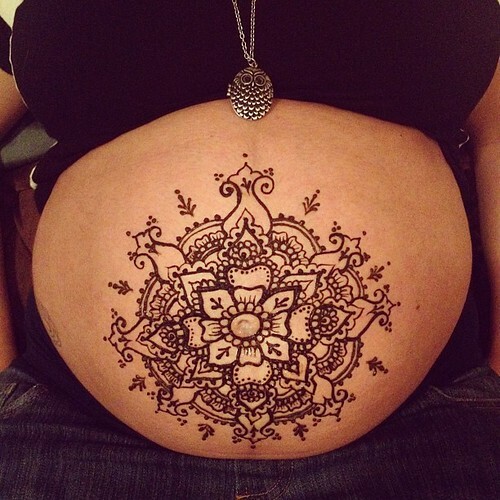 This entry was posted in doula, enlightenment, life, yoga and tagged doula training, healthy-living, yoga on February 12, 2013 by sherewin. In addition to painting my toenails, reading a book, a magazine, and starting the first season of Downton Abbey, I spent a lot of time pouting this weekend. Pouting is always dumb, but I couldn’t shake the feeling of being left out and pushed away by my boo. We discussed it at length as soon as we were able–as we do–and both agreed that most of the problem could have been avoided if we’d been better able to communicate, which is kind of weird for us because we’re both talkers. Pointing to communication as a problem is a relatively simple and obvious first step. Figuring out how to do something about it in order to change future outcomes seems far less obvious. I’ve noticed that about once a week, Z likes to spend about 24 hours with one or some of his siblings. This seems strange to me. I’m much more about getting together for a few hours for lunch or drinks and then parting ways. They like to have, what seems to me like, these marathon get-togethers. Usually we navigate this territory pretty well. After I get my fill of socialization, I go home and have some much needed alone time. This weekend, the problem was all about having a tough conversation, followed by the marathon 24-hour hang out sesh, coupled with little discussion of who was going where, what they were doing, and when they would be back. So, somewhat irrationally, I felt pushed away and not included, despite the fact that I think I needed the alone time anyway. See, that’s where better, more careful communication could have solved the problem. Still, I think it’s about something more than just a communication breakdown. I think that Z likes to get my goat by rebelling a little bit and being unpredictable. I like to punish him by pouting and being hurt (though my behavior is not necessarily a catalyst for his and vice versa). And these are the parts that aren’t very enlightened or conducive to our happiness. We don’t do it very often, but it would be nice if we could figure out what sets it off and why we feel the need to rinse and repeat the cycle every few months. This entry was posted in enlightenment, life, relationships on February 11, 2013 by sherewin. What the hell am I doing? This is the question I was asking myself during the late night Bikram class that I rushed to after a long day at work. My belly was full from a work dinner, and I had to sprawl out on the mat during several postures. Today would be my 35th day of Bikram, but I will miss it due to a long day of work obligations. Since I did a double last week, I can afford to miss a class. Doing a double is like banking one in advance. But, I can practice again tomorrow, and I’ll practice through the weekend. I know I will miss two days next week due to long days at work. But, if I do more doubles, I can stay on track for a 60-day practice. Is that what I want? Is that what I’m trying to do? Last night, I had to ask myself, as I was suffering in that hot room, what the hell am I doing? Why do I need to come every single day? Why do I feel compelled to complete a 60-day challenge? I have to admit that the answer to those questions is not always readily available. It has something to do with not wasting the 30 days I’ve already completed. It has something to do with a sense of accomplishment. It has to do with feeling good, being healthy, and staying in shape. But, sometimes those answers feel far too vague to offer any real comfort during a practice like last night’s, which, between my exhaustion and full stomach, did not happening under the best circumstances. This entry was posted in life, work, yoga and tagged health, healthy-living, staying in shape, yoga on February 8, 2013 by sherewin. Don’t let the yoga fool you. We can still be a-holes. In my write up about my experience completing the 30-day Bikram challenge, Z said I should have mentioned that our relationship has improved since we began practicing daily. (He also completed the yoga challenge with me.) We had noticed a pattern where, after yoga, we would both feel amazing if not a little hungry. Despite our good moods, we would often bicker on the drive home from yoga. It felt particularly bad because it felt like we were trying to rain on each other’s parade. Once we noticed the pattern, we made a few jokes, chalked it up to hunger, and moved on. As we do. After the 30-day challenge, Z commented that we don’t do that anymore. We don’t argue after yoga. There was also a sense that, in addition to the hunger, perhaps the yoga was helping us work through issues in our relationship and arguing was a result of that. Perhaps we were arguing to work through subconscious problems. Perhaps the 30-day challenge, and the process of going through all of that, had helped us work through our problems. Indeed, we agreed. We don’t argue now that we’ve completed the challenge, we said. We are officially an enlightened couple, we said. Wrong. The very next day we had our worst post-yoga fight ever. It was so bad that afterwards, when I made a light joke, trying to move on, he didn’t take the olive branch. It took several more minutes for him to calm down. Yes, I wrote “minutes.” The good thing about us is that our arguments are very short lived. I think that’s a good thing. Though, maybe we never get them out of our system because they’re too short? The point is that we are probably not enlightened…yet. Really, though, the overwhelming story about us is that we get along really well. Except when we get too cocky about it. This entry was posted in enlightenment, life, relationships, yoga on February 7, 2013 by sherewin. Today was the 31st day of practice, and it was one of the most inspiring classes I’ve had since I began the 30 Day Challenge. I thought the 30th day would be the best. It was the last day of the challenge, and I even did a double to celebrate! Surprisingly, the 31st day was the day that felt most meaningful. I think it was because today was the day that I didn’t have to practice if I didn’t want to. I could have stayed home and relaxed. I could have gone out to dinner. Our 30-day challenge of not eating out is complete too! (More on that later.) Instead, I actually wanted to go to yoga! I remember the day after the Regional Asana Championship. I saw several of the competitors attending class the next day. I remember thinking, if anybody deserves a day off, it’s you! These people had just competed and worked really hard, and yet they were there the next day. Still practicing. Still consistent. On the 31st day, Z and I attended the 6:15 pm class with Roxanne, and I endured her infamous two-minute camel pose (ustrasana). It was a simple class. I worked hard, but I’ve worked harder. I didn’t sweat very much, which was odd. As a result, I felt a bit overheated. I have considered the possibility of turning the 30 Day Bikram Challenge into a 60 Day Challenge. But, I know I’m going to have some really long days at work during the next two weeks, and I doubt that it will be possible to attend. I’ll literally leave for work before the first class of the day is over, and I’ll return home after the last class has begun. I would have to do doubles to make up for the days I missed, and I’m not sure I’m up for that. There is no doubt that this practice has me feeling amazing, and I think I’ll mourn the first day that I have to miss a class, but I’m not yet in a place where I’m sure I can commit to 30 more days. That’s a lot! In the 30 Day Challenge, you can miss up to two classes, but you have to “make them up” my doing two doubles (attending class two times in one day). The 30 Day Challenge is official through the studio, and as I understand it, the next 30 and the 30 after that are unofficial, meaning you keep track of your progress on your own. Since we can make up two days by doing up to two doubles during the 30 Day Challenge, logic would follow that one could miss up to four days and do four doubles to make them up in a 60 Day Challenge. So, I’m not sure if now is really the time to attempt 30 more days of the challenge, but I’m going to continue to take classes on a daily basis if possible and see how long it will last. 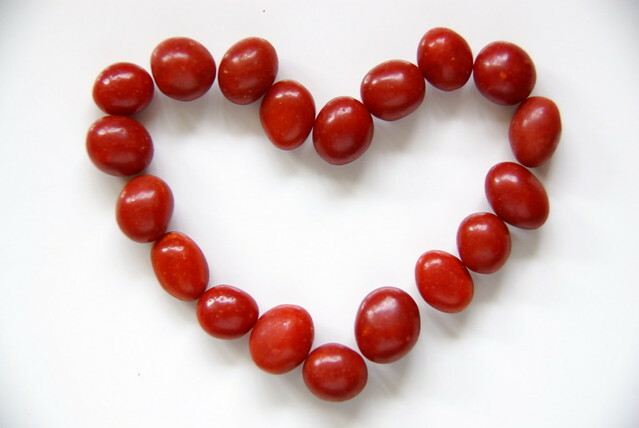 This entry was posted in enlightenment, life, work, yoga on February 6, 2013 by sherewin.